My medical lifetime has experienced several epidemics. Although such problems are devastating to families, we learn a great deal of general science by uncovering the secrets of each new disorder. Think of Legionnaire’s disease (bacteria), the Norwalk virus, helicobacter (stomach ulcers), etc. Regarding the conditions that now fall under an autism diagnosis, these are exciting times for study and discovery. At this conference there were 1800 attendees from all over the world, and nearly 1000 research papers. It has been great watching this organization grow; bringing advances to the science of autism spectrum disorders. This years Advocate Award went to Peter Bell. He is a true contributor to autism. More than simply offer an acceptance speech, he did a great job of expressing to this diverse, but research-oriented group, his “Top 10 List” for audience understanding. That included finding causes and treatments, environmental associations, lifetime services, and recognizing patients’ humanity, with the urgency that a only parent could feel and express. Then, there were the short conversations with the presenters. I spoke with a pediatric neurologist who presented his work on Vitamin B12 and folic acid. Another was a social worker, whose study concluded that the new DSM 5.0 would result in fewer diagnosed cases. I couldn’t agree less, so I was able to discuss it. I spoke with a young researcher whose paper detailed the changes in the neuron-type cells of the intestines, which is work that will elucidate gut alterations that might explain various autistic features. There are so many young and promising minds. 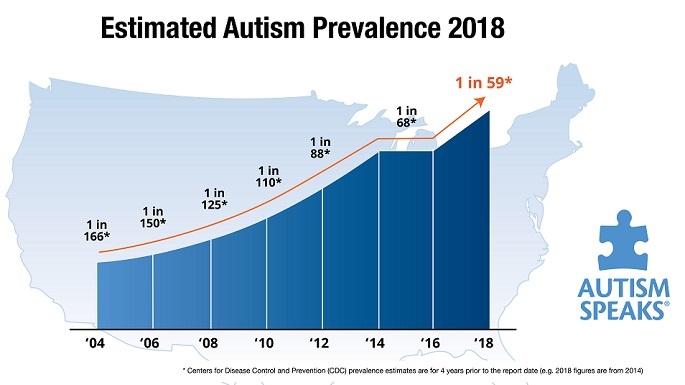 Just as HIV research enriched our knowledge of DNA, RNA and viral-human interaction, autism is enhancing scientific understanding of the development and function of the brain. There were few papers and presentations about environmental and epigenetic effects leading to the epidemic. For that matter, there was little discussion about the presence of an epidemic, though I suppose that would have been preaching to the choir. Also, I think that there needs to be more work on how co-morbidities play into ASD. As a clinician, I find that problems, such as those in the G-I system, sensory difficulties, sleep disorders and anxiety, need to be studied as the very fabric of the condition. Finally, this is not so much of a complaint, as a fact of life, but there is so much to read and learn in just a few days. There just never seemed to be enough time. Dr. Fred Volkmar, Yale autism expert, got a Lifetime Achievement award. He is an energetic and fascinating teacher who noted how few treatment studies are yielding success, especially compared to the explosion in the volume of research. Dr. V actually expressed his frustration that much of the work is not actually getting to the parents and the children. This famous professor expressed an understanding of how parents seek Internet answers in the absence of viable medical alternatives, which is such a rare point of view in the academic world. The knowledge and information that ripples from this scientific meeting and the people who continue this work will make a difference. Perhaps not one particular study or that trial, but by their dedication to becoming part of the solution, parents can be assured that you have champions on your side. You can access the research abstracts here. This entry was posted on Sunday, May 18th, 2014 at 3:43 pm	and is filed under >ALL<, Conferences, Gastrointestinal Issue, News-Maybe-Worthy, Research. You can follow any responses to this entry through the RSS 2.0 feed. You can leave a response, or trackback from your own site.